Bhuleshwar Temple is dedicated to Lord Shiva and was one of the protected monuments. Situated in a hillock nearly 45 km from Pune, the temple was built in 13th century. Black basalt rocks were used for the construction of Bhuleshwar Temple. We can see astonishing carvings on the walls of the Temple. 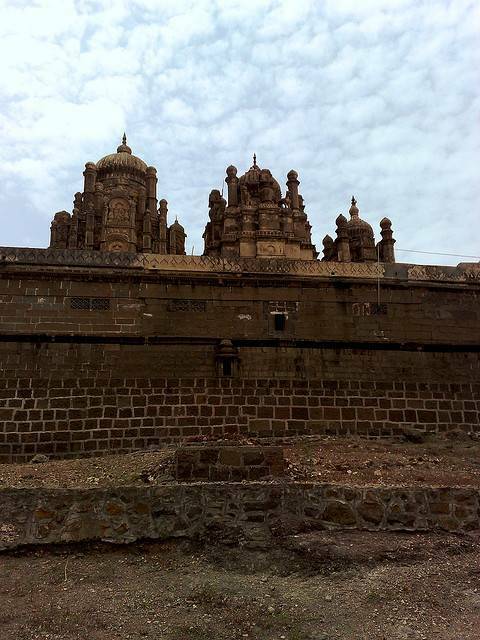 In fact the temple is located within a fort named Daulatmangal Fort. As per hindu mythology, Goddess Parvati performed a dance for Lord Shiva. Later on they went to Mount Kailash to get married. Also in Bhuleshwar Temple, Lord Ganesha is dressed as a female and so termed as Ganeshwari or Lambodari.